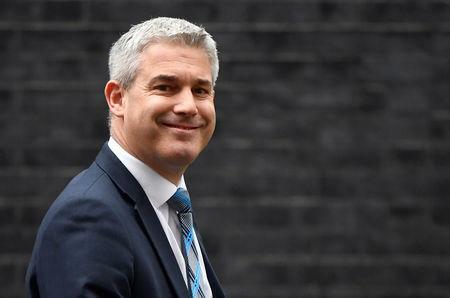 STRASBOURG (Reuters) - Brexit minister Stephen Barclay said on Tuesday both Britain and the European Union wanted to see a Brexit deal, recognising that a British exit without an agreement would be in neither of the sides' interests. After talks in Strasbourg at the European Parliament, Barclay told reporters there was "a lot of goodwill on both sides." "Both sides recognise that a no deal outcome is in neither of our interests. It would be very disruptive to the UK but also to the EU. So both sides want to see a deal."